While generally speaking nothing beats a cup of our coffee in the morning, we know nighttime occasionally calls for a little something extra with a fun and tasty twist. Our evening drink of choice? 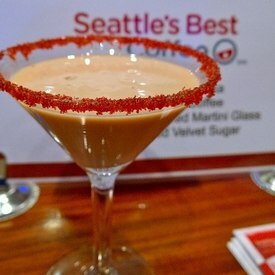 The Seattle’s Best Coffee Mapletini. Made with our Signature Blend No. 4, this delicious concoction combines the medium-dark and rich coffee with the sweet taste of maple syrup and vanilla vodka and creamy half & half for a delicious iced coffee with a kick. Whether celebrating a special occasion, spending a simple night in or entertaining family and friends (ages 21 and over, of course), this drink is the perfect way to enjoy coffee during the evening hours.